Citizens Academy Blog, March 18, 2014 When You Gotta Go! CBC Morning North, August 1, 2014. Public Washroom maps point to accessible facilities. Story about the mapping of accessible toilets in Sault Ste. Marie including comments from GottaGo! chair. CBC Manitoba. Morning Show. August 26, 2014. Radio interview with Chair Joan Kuyek re: need for public toilets in downtown Winnipeg. 580 CFRA, Ron Corbett, September 22, 2014. Phone in about toilets on LRT line. CTV News at 6 (at minute 18:11). coverage of our press conference about releasing the 1000 signature petition and Rachel Canham report. Carleton Now, October 2014 edition. Kristy Wallace. GottaGo! Campaign Highlights need for more public toilets. About the Rachel Canham report. Glebe Report. Joan Kuyek. November 17, 2014. GottaGo! Celebrates World Toilet Day. An update on support for the GottaGo! campaign. Ottawa Citizen. Tom Spears.December 9, 2014. When There’s No Relief in Sight. Carleton Study finds there is a need for more public toilets. Ottawa Citizen. February 2, 2015. Cathleen Kneen. Provide Safe, Accessible LRT Toilets. Great letter to the editor! Centretown News. Carole Boeira. February 10, 2015. Campaign for a Public Toilet in Dundonald Park is Getting Some Relief. Westside Action. Gotta go pee! “As a society, we have a major aversion to acknowledging that people gotta go pee. Or poo. And that this happens when people are outside of the home. Like at transit stations. Or touristing in a city.” Excellent blog and good comments. Mid- February 2015. The Ottawa Raging Grannies bring their humourous approach to the City’s budget consultations. The Grannie’s song (with the words) as reported in Jon Willing’s blog in the Ottawa Sun. February 21. Jon Willing. GottaGo! group urges City to spend on more public loos “The year-old GottaGo campaign is trying a new tactic this winter: Flooding the budget process at City Hall. Council members are seeing a lot of Joan Kuyek, the chairwoman of the group advocating for more public toilets. It’s budget time and Kuyek is hitting up every committee that has any kind of connection to public washrooms.” The GottaGo! CoreTeam has been everywhere this month: leafletting, speaking at meetings and lobbying Councillors. And then the Ottawa Sun comes out with this editorial, opposing public toilets in new LRT stations, but supporting the idea of having businesses in the stations that could provide the toilets in return for a tax subsidy. That might work, as long as the toilets are accessible, open when the station is, and available to anyone who needs them, not just cutomers. March 14, 2015. Tayler Meagher. Viewpoint: Businesses Need More Public Toilets .Centretown News. March 31, 2015. Welcome to My World interview on CKCU radio. May 24, 2015. Ottawa Community News. City’s Gotta Go with More Public Toilets: McKenney. Councillor Catherine Mckenney talks about the need for more open public toilets in City parks. June 21, 2015. Ritchie, Haley. Ottawa Metro. Where to go when you gotta go:city working on creating app that locates the nearest public washroom. July 8, 2015. Joan Kuyek.the Globe and Mail. If you gotta go. Letter in response to Picard column. July 10, 2015. Emma Jackson. Ottawa Community News. Transit Toilets to Offer Sweet Relief. August 26, 2015. CBC News. 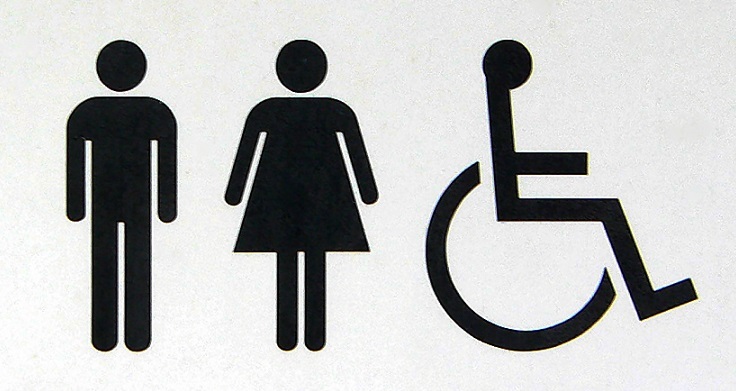 Public Washroom App could Launch by Summer 2016. August 26, 2015. Adam Feibel. The Ottawa Citizen. City Committee to Consider Ottawa Washroom Finder App.